Here's where you'll find the egg tarts and matcha cookies you've been looking for. On a Friday night, the line snakes back and forth between door and counter at 85°C Bakery Cafe. Part of a Taiwanese chain, the shop is set in a corner of a Carrollton shopping center, where the doors to the vast new Daiso Japan dollar store slide open and shut till 9 pm. Here, you enter a world of voluminous, cloud-like treats. Sponge rolls in the glittering case may be pretty mouthfuls, more mousse than flavor. But the bakery excels in buttery, European-style breads that pull apart in rich, wispy folds. The “snow-chapped” has a crackling top of caramelized sugar. Brioche is a soft pillow with a sugar-cookie coating. There are milk pudding buns in swirls and twists, some filled with custards, and breads scraggly with cheese, dark with chocolate, or cradling sausages like pigs in blankets. Attendants replenish the bins with vibrant-colored rolls, taro’s mauve and matcha green. And then there’s this uncommon find: pork sung (pork floss)—like pork cracklings meets cotton candy. On a bun, it’s a russet thatch secured with mayo–. On a half-moon of demure vanilla sponge, paired with whipped white frosting, it becomes an umami fluff that hits your tongue with a salty tickle. Tell your brain pancakes and bacon. 2540 Old Denton Rd., Carrollton. 469-729-8585. Describing bingsu to someone who has never been around snow would be difficult. The lightly sweetened milk ice is not hard and crunchy like shaved ice but as delicate as a flurry of fresh powder, like milk and honey snowflakes children might dream of catching on their tongues. The mounds come with toppings. The most traditional version, injeolmi bingsu, is loaded with toasted soybean powder, mochi, slivered almonds, and a knob of sweet red bean paste at the crest. The mochi is chewy but not unpleasantly so against the cold. The flavors are restrained, like roasted peanuts and honey, as are the colors, taupe and caramel. The green tea bingsu combines the astringency of matcha with the sweetness of red bean paste in a classic pairing. For the less adventurous, there are cascades of slivered strawberries and bright yellow avalanches of mango. Koo wanted to open a place that would combine her strengths, and she wanted to open it in Old Koreatown, where tastes are traditional but changing. If you’d prefer something warm, there’s taiyaki, fish-shaped pastries filled with red bean paste or Nutella. Pressed in a waffle iron, they are served hot and fresh, a quintessential street food. But the reason to come is the snow, with its startlingly ethereal texture. A handwritten sign at the counter kindly asks that you not take the vessel home with you—a copper bowl, flat-bottomed and tapered. Empty, it could resemble a token from a sacred golden mountain. 2540 Old Denton Rd., Ste. 130, Carrollton. 903-204-1988. At Grace Koo’s bakery, you can get banana milk and misugaru, a roasted multigrain drink, cold and thick as a milkshake, that makes a morning wonderful—both Korean classics. But you’ll also find macarons and cold-brew drip coffee from Richardson roaster Eiland. Koo spent five years in Seoul at a time when the city was burgeoning and coffee shop and bakery culture were exploding. After training in bread and pastry at Lenôtre in Paris and running the bread program at Michelin-starred Betony in New York, she took over in February what used to be Boba House, a lovingly worn, homey spot with couches and cubicles for studying. Redesigned, it’s sleeker, though still cozy. Cakes are the work of several experienced baker-decorators. 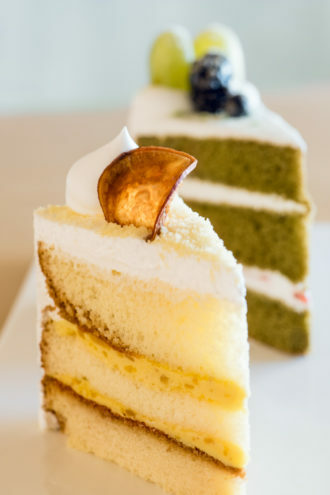 They’re fine work, whether flavored with light-green tea or honey-plain with a Japanese sweet potato mousse. Whole cakes come decorated with adorable meringue bunnies. Koo’s bread skills go into creations like soboro, a Korean streusel bread with a bumpy topping she makes with almond flour “shake off,” not deemed fine enough for her macarons. Almond flour also goes into delicate shortbread cookies—pale matcha green with black sesame seeds and a fine, sandy texture. There are classic Korean morning doughnuts and croissant sandwiches whose layers she rolls by hand. Giant soboro, big as catchers’ mitts, sandwich chocolate cream. Koo sometimes goes down the street to Komart for ingredients such as mugwort or chrysanthemums (the Korean national flower), which she might press onto cookies. She could have opened a shop in Carrollton, where so many new places are clustering. But Koo wanted to open a place that would combine her strengths, and she wanted to open it in Old Koreatown, where tastes are traditional but changing. Where her rabbits and sweetness evoke childhood memories for others, too. 2546 Royal Lane. 972-243-4478. Similarly, Andrew Chen reached back to his childhood when he and co-owner Michael Wang opened Monkey King Banana Stand, from which he formerly served his Monkey King Noodle Co. dumplings and noodles. Chen grew up in Richardson, his parents part of the wave of Taiwanese immigrants of the ’70s and ’80s. 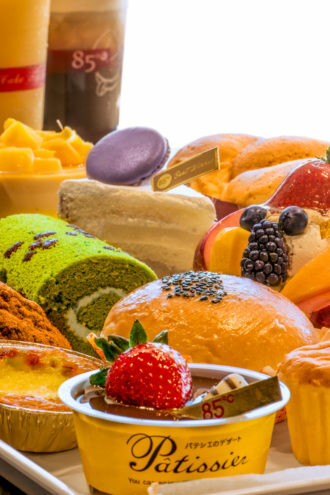 Childhood trips to Taiwan, filled with the sensory overload of bakeries every few feet, formed his palate. The Banana Stand is his tribute to treats you’d find there. The egg tarts—rich, flaky puff pastry clustered like a flower petal around a bright yellow custard—remind me of the ones I loved from a bakery in San Francisco’s Chinatown, when I would walk around on weekend afternoons eating them while they were still warm. Those were the best in town; these are the best I’ve found here. Souffle cheesecake is both feather-light and plush, a feat of structural ingenuity you fear at any moment might collapse on itself. 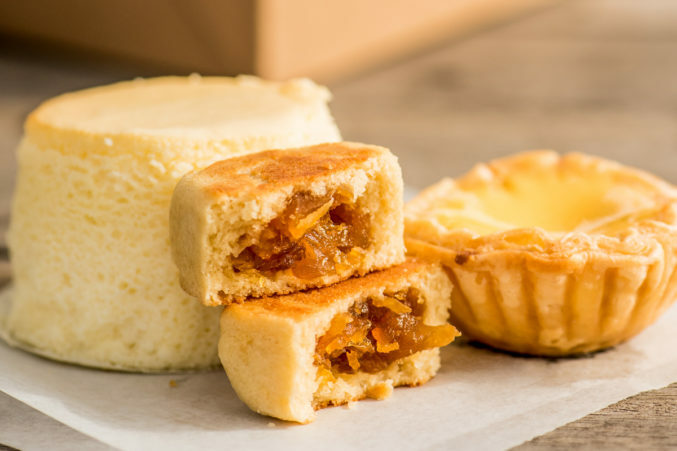 The pineapple tart—iconic Taiwanese—is a compact square of thick, buttery dough around a jammy filling, chewy with concentrated pineapple flavor. In the hands of Cuong Vo, the talent behind all the pastries, lengthy caramelization compensates for the absence of Taiwanese pineapples, which are sweeter and heavier. The result is sunshine. 3014 Main St. 469-206-3658.